11.14.15 An innovative new free chess app for smartphones has been created by Matt Henderson and the folks at ChessDrop. 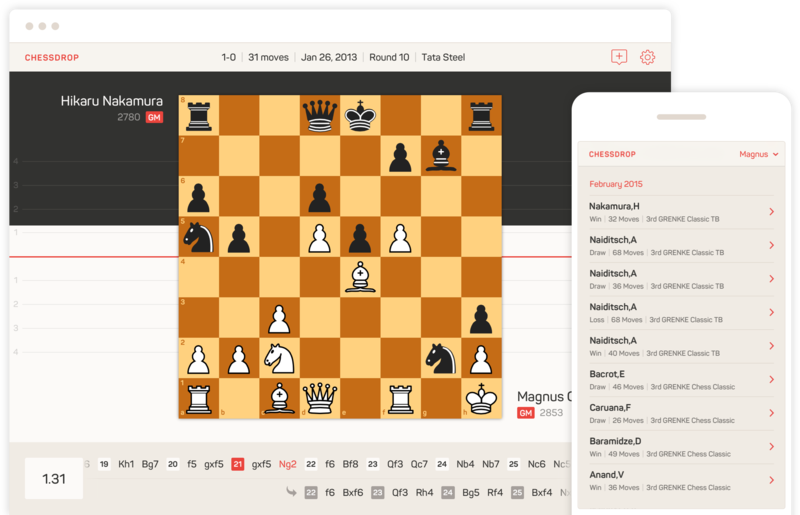 ChessDrop is an online database that allows you to privately store and share your games. You can record individual games using a web browser or mobile apps for iOS and Andriod. You can also input multiple games by uploading a PGN database. After inputting your games, you can share them effortlessly with a click. The next innovation in storing and sharing your games with a smartphone: ChessDrop.